Each core is Hyperthreaded. This part has 12MB L3 Cache and 5.86 GTS. With over a decade of experience in the market, Server Surplus is located in the heart of Florida. -All parts are 100% Genuine parts. Server Surplus does not cover any Duties or Custom fees. We can custom build the server you need. 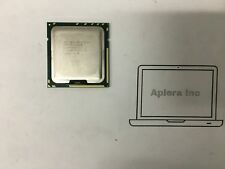 Lot of Intel Xeon E5620 2.4GHz Quad-Core (BX80614E5620) Processor and thermal . And thermal solution Condition is New. Shipped with USPS look to pics for accurate description thanks all sold asis brand new sealed Thanks all. 2.40GHz Quad Core. Once you send it out to a third party we cannot help you. Processor removed from working system. Minor wear/scuffing from removal may be present. We do not test batteries; only provide indication that they are present or missing with photos or in the item details. Warranty: This unit has been tested and inspected by our technicians for Key Functionality (R2/Ready for Resale). 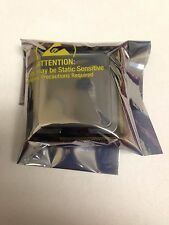 THIS ITEM IS TESTED AND GUARUNTEED WORKING WITH WARRANTY. This item may show light scratching/scuffing as this is a used item. Processor Number E5620. Processor Base Frequency 2.40 GHz. # of Cores 4. Instruction Set 64-bit. Instruction Set Extensions SSE4.2. Part Number: SLBV4. VRLA Tech, LLC is an independent distribution channel and is not associated with Dell™ Inc. or HP™ Inc. Dell™ is a trademark of Dell™ Inc. Dell PowerEdge™ is a trademark of Dell™ Inc.
) During past month. cwaem-vwtvv6ag ( 3 ) During past month. EXCELLENT SERVICE. Neutral 1 4 6. tadiran-rodgers ( 1468. Positive 78 594 1180. razz51pr ( 534. kcl5trades ( 463. ). 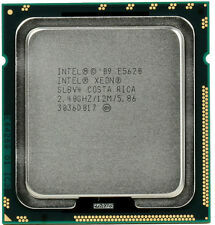 XEON E5620 CORE PROCESSOR 2.40Ghz / SLBV4 (pr444) . If you are having a problem with an item. Every item, unless noted, is sold "AS IS" and has no. YOU WILL GET WHAT YOU SEE IN THE PICTURE.